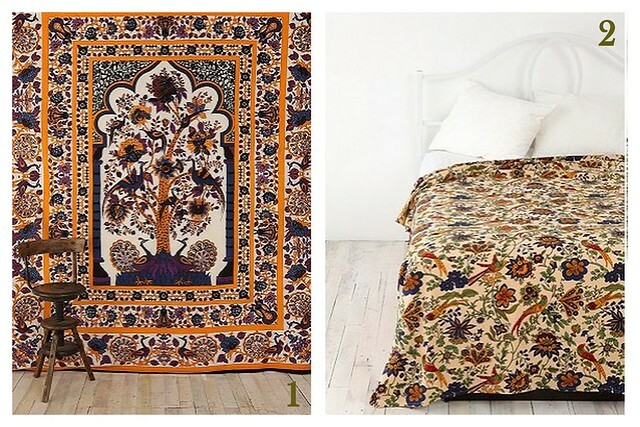 This is the Tree of Life Tapestry. I actually have this one awkwardly hanging on one of my walls. I got it at a sale here at school & not at Urban, the one at Urban is pretty big! The whole point of this post is to come up with ways to use tapestries with out it looking like your college dorm. I have to admit, I am a little ashamed of the large one hanging on my wall...but hey, I love the design.